When we’d bought a load of drywall we set about covering all the walls we’d framed. This included the extension to the kitchen wall that we made between the dining room and the kitchen/breakfast room (see earlier pics). 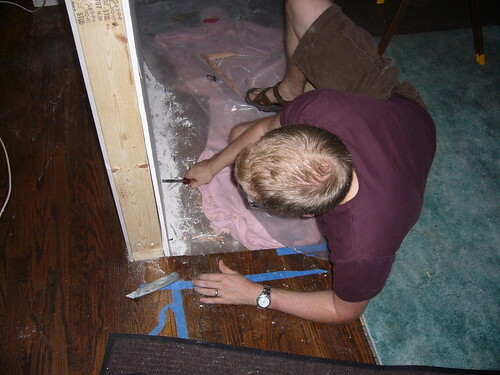 So this is einar doing some drywalling….